The last few months have seen me return to running in a small way, only 30 minutes worth every other day. I haven't been a serious runner since my early twenties, and even then I did more cycling than running. Most of the older cyclists I know have been runners at some point. We were chatting about the differences between these two activities at yesterday's VO morning meeting. I thought I'd share a few thoughts and solicit yours. You can see a lot since you're moving fairly slowly; you notice more details. On the downside, if you live in a city and want to run on a trail you might have to drive or bike to get to a trail. Running is more time efficient. You can get a good workout in 30 minutes (at least I can). It feels warmer in cold weather. On the other hand, you get pretty sweaty, even in cold weather. I'd rather run than ride in the rain; maybe that's just me. That goes double for snow. After dark, it's easier to take a short run in town, on a sidewalk. It's simpler to go running when you travel: pack just running shoes and shorts. Lots of low key local races are available if you like to compete. Running is safer; at least it feels that way to me. But I seem to get more minor injuries like strains and blisters. It's easier to stop to take a photo or chat with someone you meet. 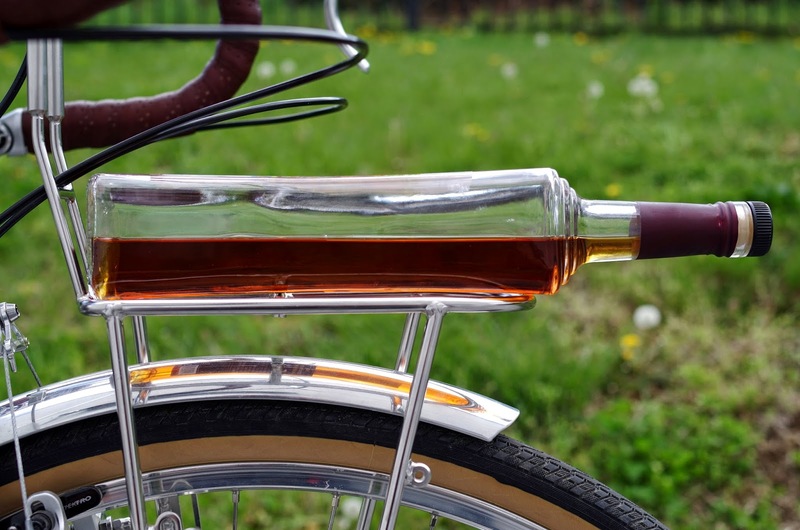 And you don't need to lock up your bike if you wander off. You can see more since you cover more ground. You can usually cycle out of town and enjoy the countryside. Cycling is just plain more fun. You go faster and you can rest while riding. And you can use your cycling skills which is rewarding. 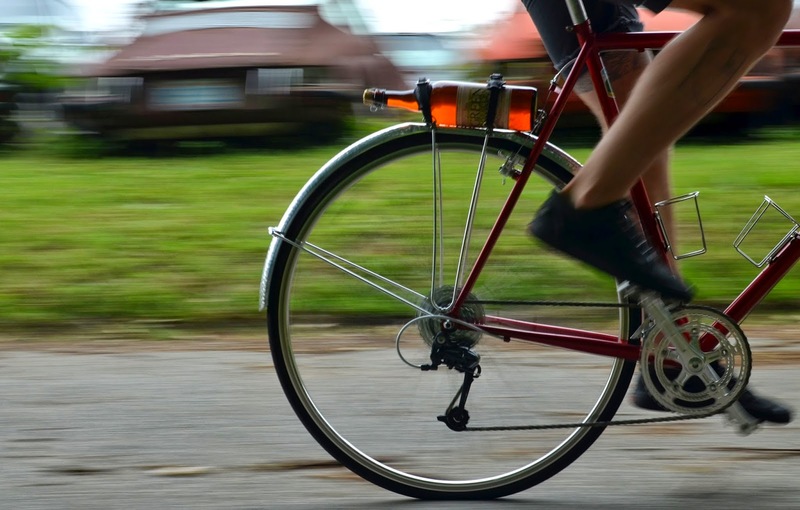 It's easier to pick up groceries or commute on a bike, which is still good exercise. It feels cooler on those hot and humid summer days; there's always a breeze. It takes longer to get a good workout. I feel like two hours on the bike equals about 30 minutes running. No science here, just how tired I feel afterwards. Taking your bike on business trips is a pain, and expensive if you fly. You can easily go touring. I feel this is a huge advantage. There are people who do running tours, but they are super fit and probably nuts. Cycling, at least for me, has been almost injury free, other than a few crashes. Do any of you both run and cycle? Are they complementary activities? Monday, May 26, is Memorial Day and like many US businesses, we will be closed. We will also be closed on Friday, May 23rd, to give our staff a little extra time off. That means that no orders will be shipped on those days. So please place any order you'd like shipped this week by noon on Thursday. In other news, we have ordered black hammered 45 mm fenders; these are now in production and should arrive in late summer. I'm not much for special editions and colors, but this shade of muted red is my favorite. I once bought an old beat up BMW car with a leather interior this color and I loved it, despite the rest of the car being a reliability nightmare. 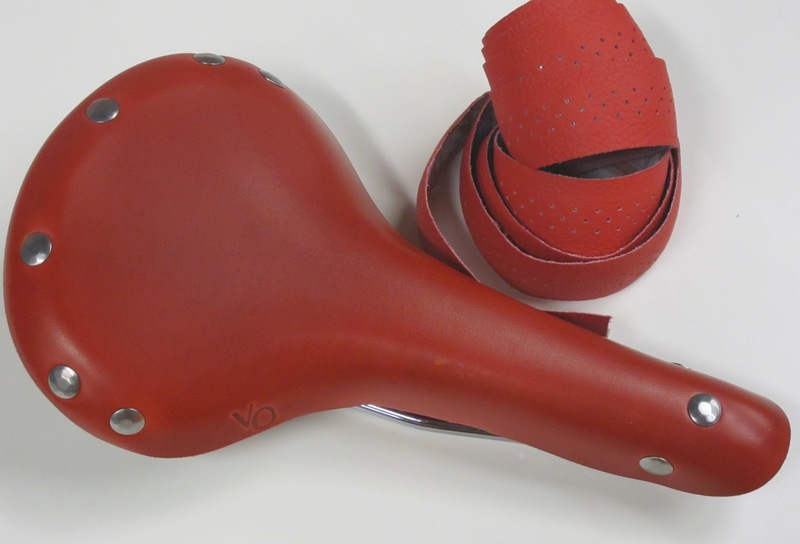 Anyway, we ordered a small production run of model six saddles and matching leather handlebar tape in this lovely shade. If these sell well we might try another color, maybe dark green? You'll be glad to know that we've ordered a production run of our six-pack rack described in the previous post. We've also been working on a perfectly sized cargo net to secure your precious brewed cargo. 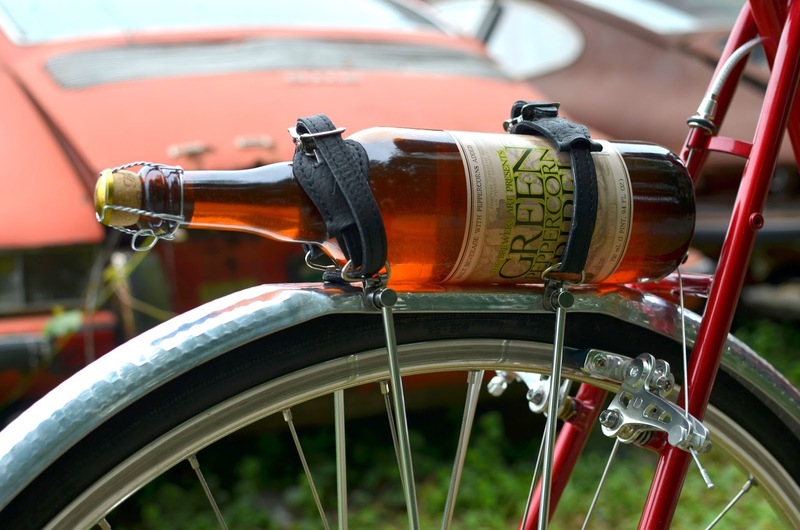 But here at VO we never stop thinking about how to convey our favorite beverages, hence the beer fender. Okay, it's not really just for beer, but we wanted to continue the theme. Flat topped mini-rack fenders were made in France during the 1950s and 60s. They were not for heavy loads, but rather for a rolled up jacket, baguette, or bottle of wine or beer. 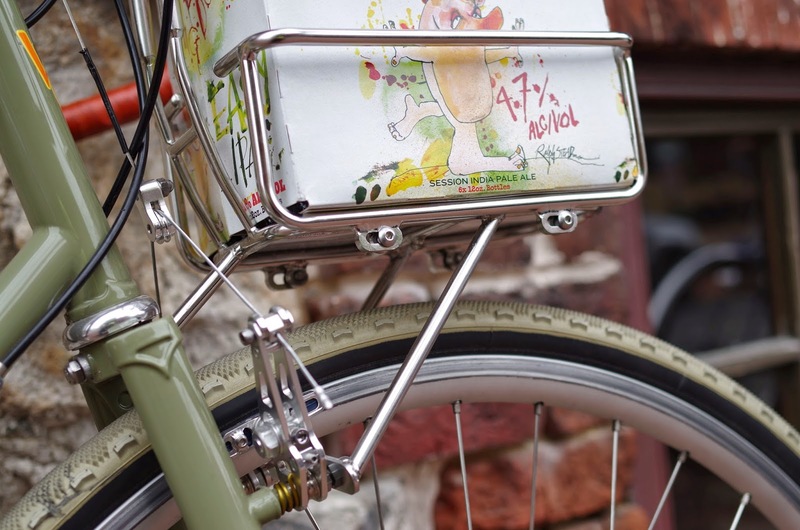 Flat top fenders might be a useful addition to a handlebar bag, providing extra carrying capacity without the weight of a rack. And they do look cool. This is the first rough prototype and it obviously still needs refinement. I'm not sure if we'll pursue this project, the appeal might be too limited. I got to work a little late this morning and Casey, of crazy bar fame, is nowhere to be found. He's out getting beer, I was told. Now VO is a pretty laid back place, but beer at 9:30am? 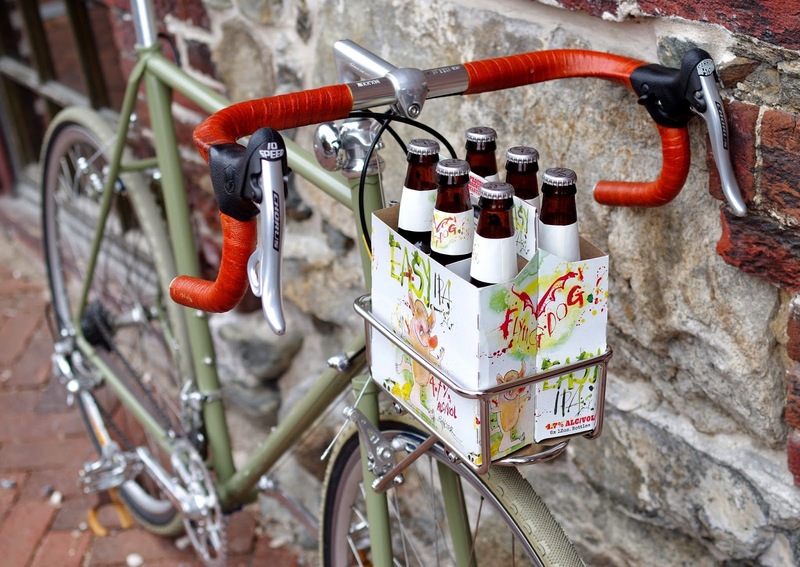 Turns out that we just got the prototype six-pack rack. And yes, it's another of Casey's crazy ideas, basically a rail that bolts to several of our front racks allowing you easily carry, you guessed it, a six-pack. The photos tell the story. So is it too crazy or a good idea? I can't decide. 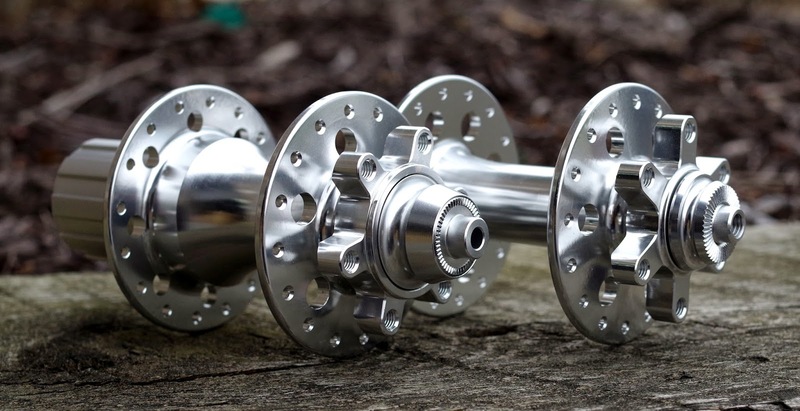 Many of you asked for a disc version of our popular Grand Cru touring hubs and here they are. They are field serviceable and can be disassembled without tools. This means that you can easily change a broken spoke on the drive side or re-lube the pawls. The rear hub spins on four large Japanese bearings, while the front uses two. So will there be a VO frame you can use these on? The answer is yes, but that's all I'll say for now. 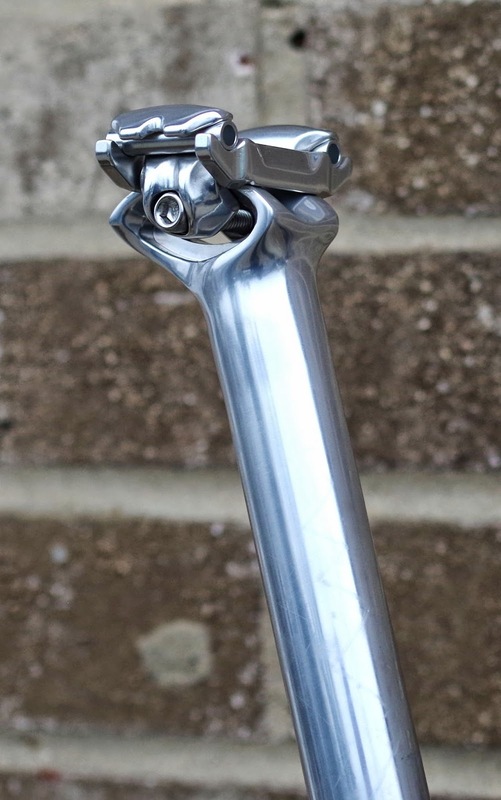 Our new Grand Cru zero-setback seatpost uses a neat side adjusting mechanism. These are, perhaps, the easiest to adjust of any seatpost we've used. Zero-setback posts are especially popular on MTBs and may work well for some bike packers. They will be made in silver and in black. 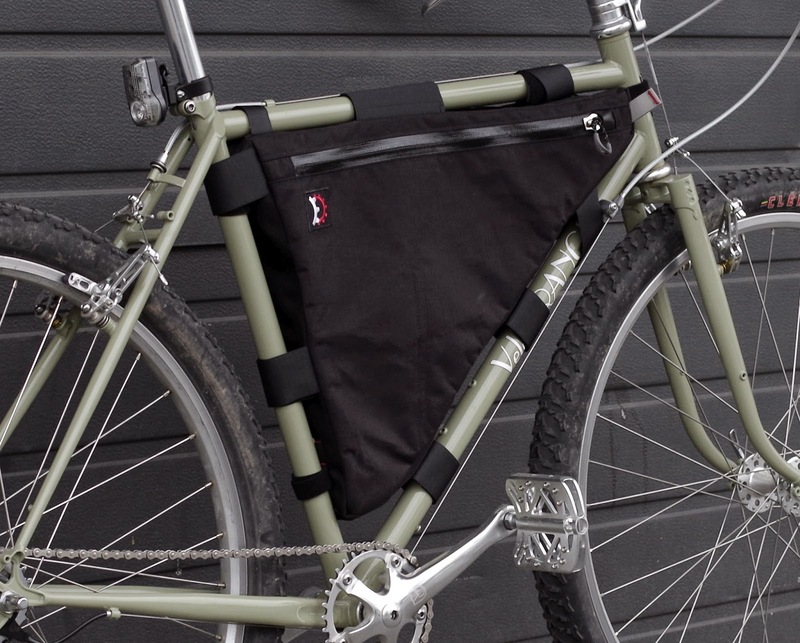 We've been working with Revelate Designs on Frame bags for the soon-to-arrive Camargues. The photo is a prototype, but the only change will be orange thread for contrasting stitching. All of these new items will be arriving late this summer. What do you think? 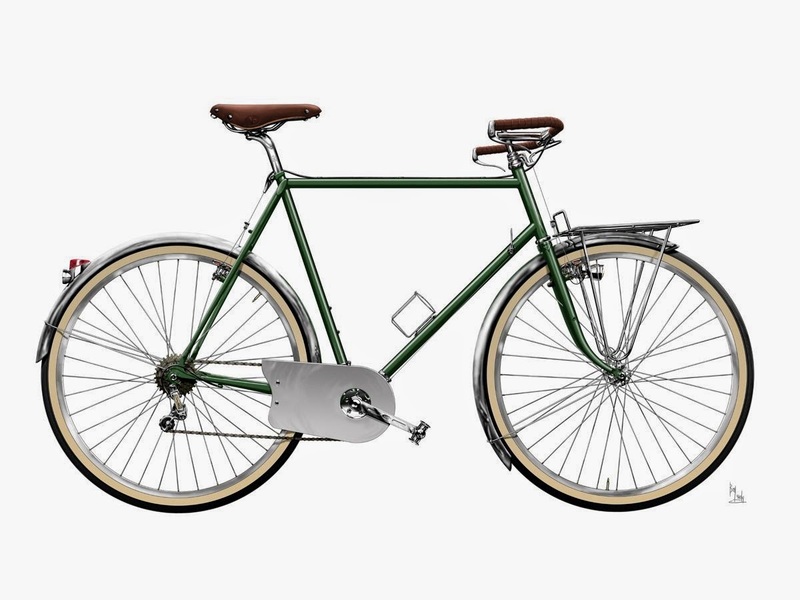 I've been thinking about bikes that I find stylish and elegant. There are a few things that, for me, make a bike look special. These are all subjective, and you'll probably disagree with some. There are those who will say that function trumps style and we shouldn't be distracted by appearances. I'd disagree; having a pretty bike makes me feel better. I'll find myself glancing back and smiling when it's put away for the night. It's a little thing, but it makes life more enjoyable. So onward to my list. You can take me to task, or make your own additions, in the comment section. I like bikes that look like they've covered some miles. 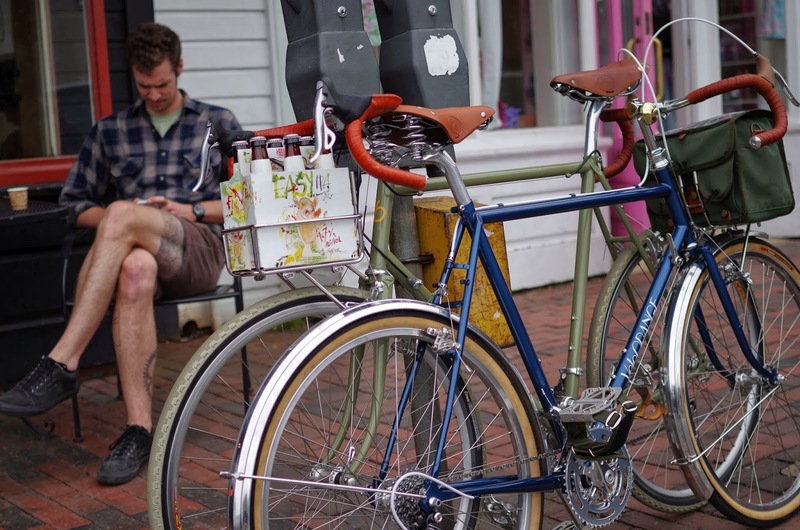 There is nothing wrong with a new bike, but I find a bike grows more attractive with use. It's interesting that in the classic car world there has recently been a strong movement toward showing cars that have never been restored. Preservation over restoration is simply more authentic. 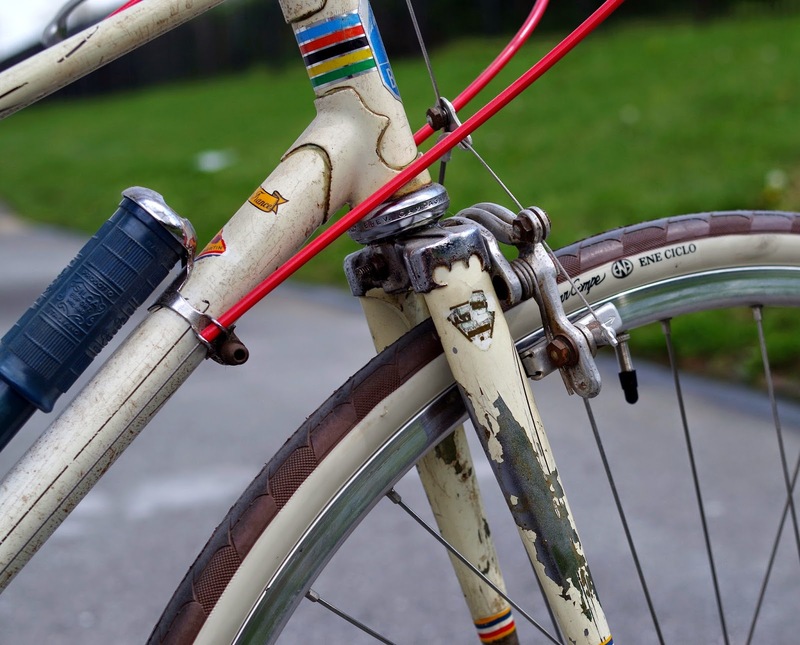 The Japanese idea of wabi-sabi shows us the beauty in worn and imperfect objects; it applies to bikes. An elegant bike must look and be set-up with proper proportions. It should fit the rider. That means a fistful of seat post showing, or maybe a bit more on a race bike. The handlebars should be somewhere near saddle height. The saddle should not be pushed all the way back or all the way forward. The stem should be of medium length, not unusually short or long. Of course there may be good reason for someone, with a bad back for example, to have the bars up high, but it still detracts from the look of the bike. My taste is for well made simple frames. It goes without saying that I prefer steel. Lugs, TIG welding and fillet brazing are all equally good if well done. But I'm not a fan of overly ornate lugs or cutesy braze-ons. Single color paint jobs seem more elegant to me, though restrained two color paint can be okay on certain frames. 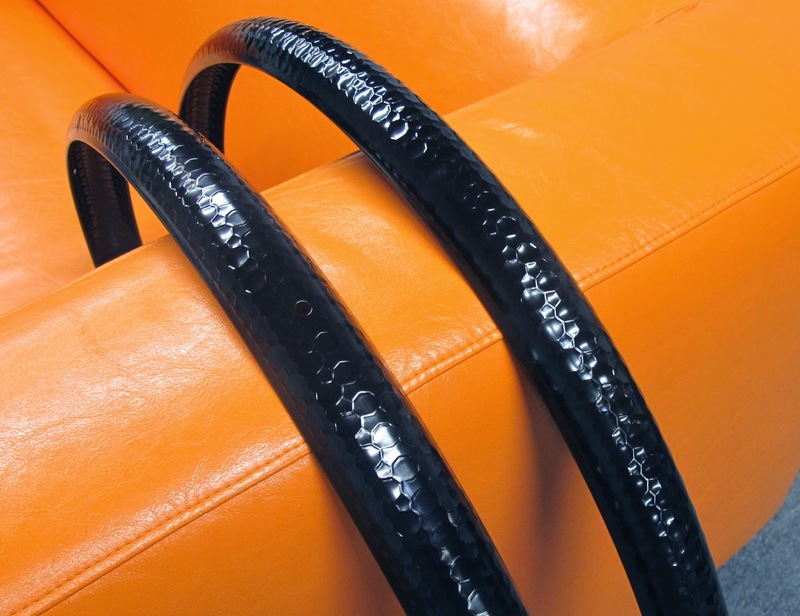 Lug lining or box lining can also be cool if not overdone. Likewise logos are an accepted part of bike aesthetics, thought they should also be restrained. Racks should be level, not tilted forward or aft. This shows care in installation, and just plain looks right. 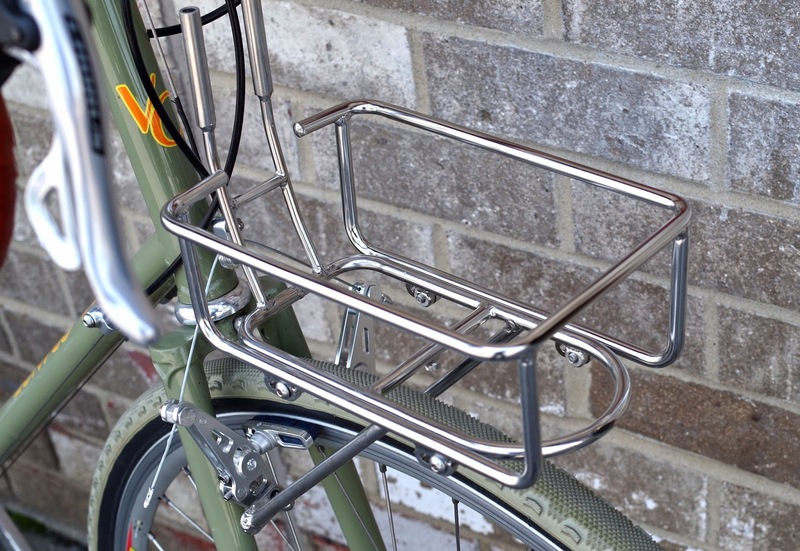 The one exception might be porteur racks. Some feel that porteur racks are best tilted back a bit to keep things from slipping forward on braking; so I'll let that slide. The gap between the tire and fender should be consistent along it's entire length. And it should be the same on the front and back wheels. Nice even fender lines are one sign that a bike was designed, built, and assembled with care. A well designed frame will have the distance between the brake bridge and the tire be equal to the distance between the fork crown and the tire. The frame ideally will have fender-mounting bosses under the fork crown and seat stay bridge, though a good fender line can often be achieved without them. Use spacers such as leather washers to even out the fender line. Again, seeing that care was taken when building up the frame always makes a bike more elegant. If using tape the wrap should be very even with no gaps. Shellaced cotton tape is always worth extra style points. Sewn on leather is very cool and shows real devotion. But whatever is used should be installed with care. It's also nice to see bar wrap finished without electrical tape or twine. A bit of invisible glue is my preference. Saddle and bar tape and toe clip straps don't necessarily need to match exactly, though it is nice if they do. 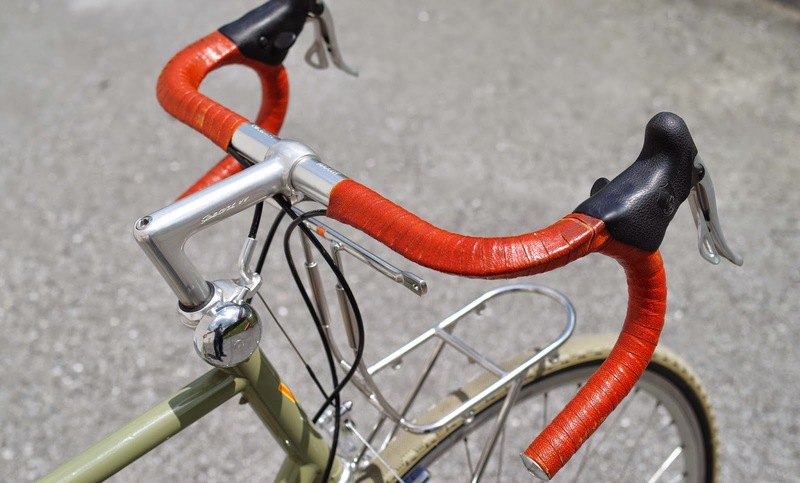 What bugs me is completely incongruous colors and textures, like red, white, and blue splash bar tape on a classic randonneur. Bikes have been refined for over 150 years and most of the really weird components have been tried and rejected. 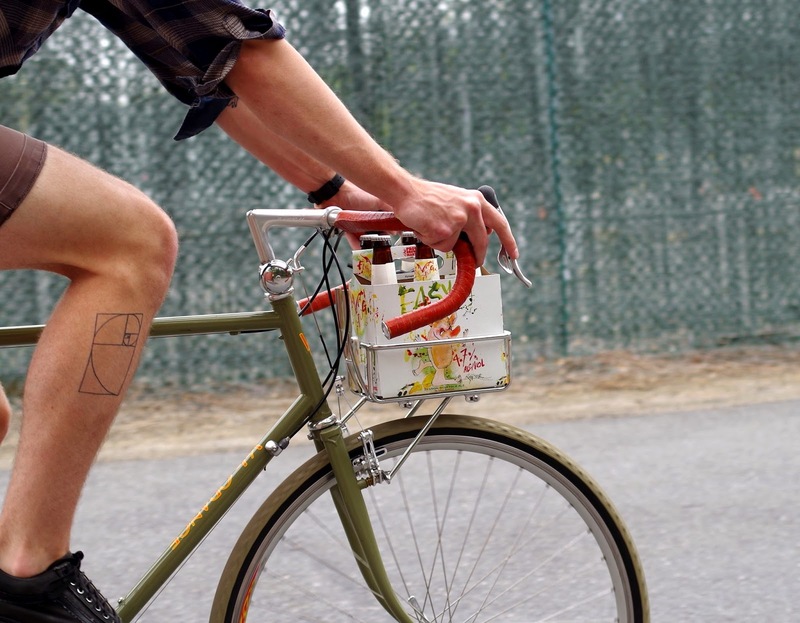 I like to see bikes built up with appropriate and reliable components using tested technology. Index shifting, disc brakes, suspension forks, and even these newfangled crazy handlebars, have their place. But I can't see suspension forks on city bikes, for example. 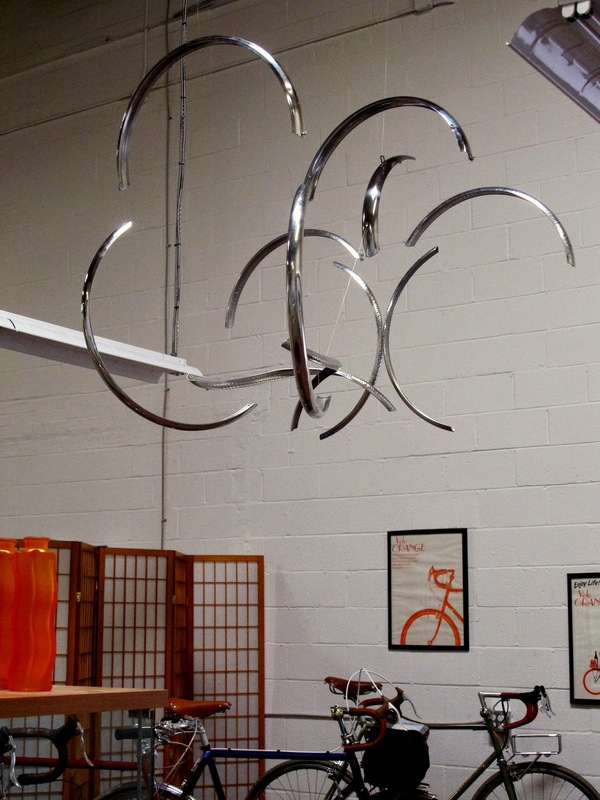 Nor do adjustable stems, bizarre saddle designs, or multiple mirrors belong on elegant bikes. So there you have it, a few things that I think make the elegant bicycle. The comments are open. BTW, the top drawing is by Ben Lively and can be found here should you want a copy.